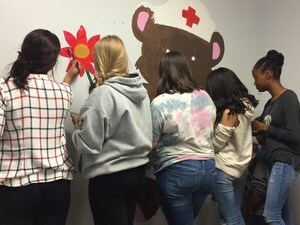 The Kids Create Club has painted a mural in Mrs. 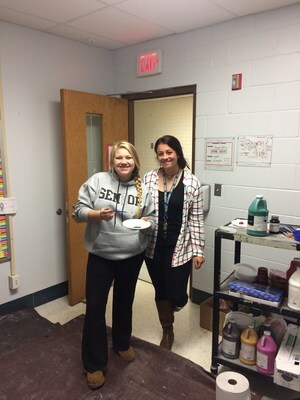 Hires' office, the nurse at Schoenly School. 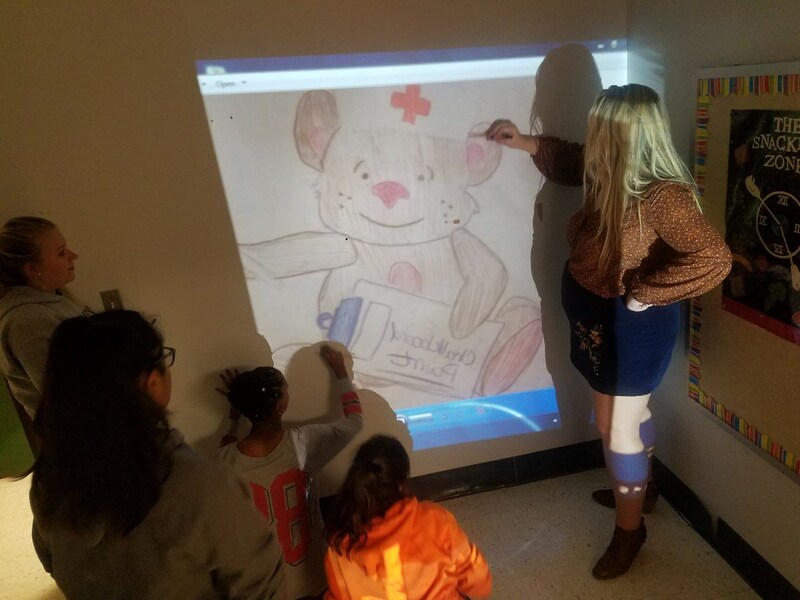 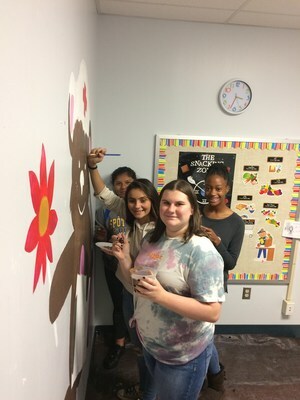 The Kids Create Club is off to a great start this year with the completion of this adorable mural to help point Schoenly students in the right direction with help of this painted teddy bear dressed up like a nurse. 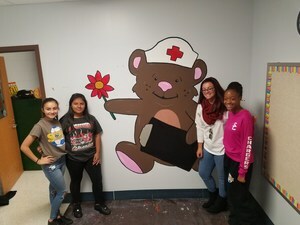 The students who created this mural were lead by seniors Kim Wright and Anna Gabriel. 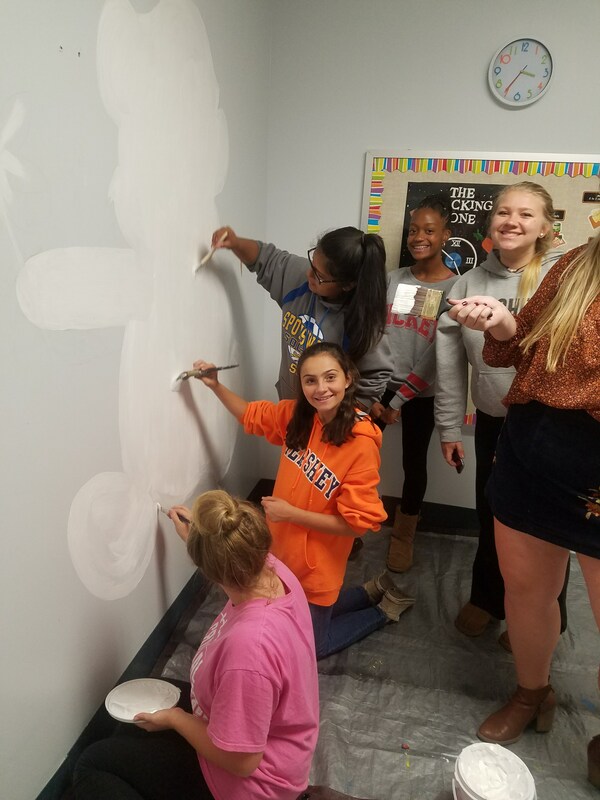 Other artists included: Courtney Potter, Ashley Murphy, Ruba Boumansour, Danielle Cann, Delaney Yaniak, Ashley Krefski, Lissette Hernandez, and Jada Fenner. The supervisors of Kids Create are Elizabeth Bartel and Alyson Collins. Kids create also meets with 1st graders at Schoenly once a month where Kids Create members instruct and help 1st grade students create seasonal art projects. 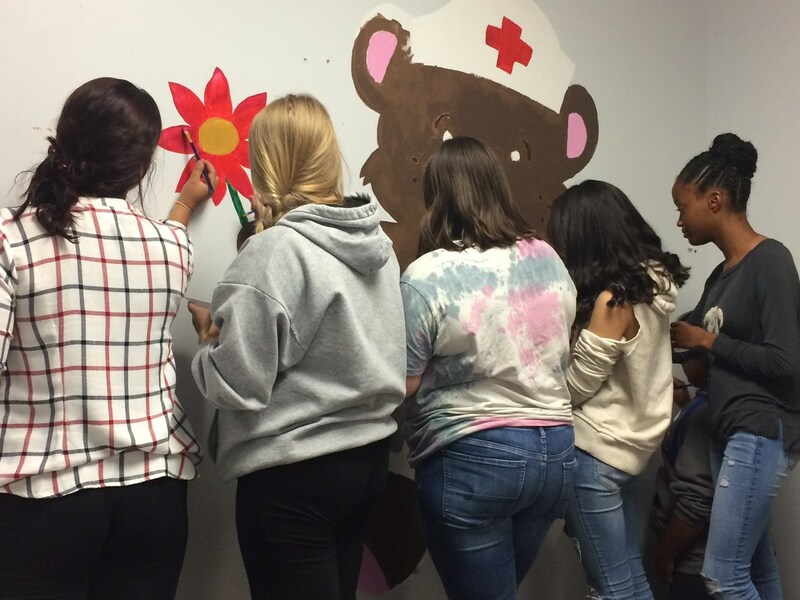 The club and program continue to grow as this organization is in it's 3rd year of existence.